I met Martin Gardner when I was 13. He was a fascinating character and I started to read stuff he wrote. He was a professional card shark, or a card mechanic, as they call it in the trade. He worked ships between New York and South America. Of course, nobody suspected him of being skillful with cards because he was just a teenager. I had been pushed through the New York City school system rapidly and before I left I took lots of scholarship exams and stuff. I came back to New York, and kept getting mail as if I had graduated. Letters from the Army saying "Dear Graduate, perhaps you would be interested ... " And I had won some scholarships - a Merit Scholarship and some others. And I thought, "Gee, this is funny. I didn't even graduate from high school and there are all of these opportunities that I can't take." But I kept getting these letters, so I then went into school and I said, "Did I somehow graduate?" ... and the assistant principal said, "Oh, Diaconis. Yeah, the teachers got together and decided it would not do you any good to cause you trouble, and they just decided to give you grades and graduate you." I eventually drifted back to New York, doing magic and pursuing it as an academic discipline, inventing tricks, giving lessons, and collecting old books on magic, which I still do. It was just my life, I did it with all my energy. I thought I could do anything. ... So I bought Feller and I thought, "Well, I'll just read this book." And I couldn't read it. I didn't know calculus, or at least not enough. In fact when Diaconis was interviewed by Mosteller before beginning his graduate studies, Mosteller suggested that he might like to think about the distribution of prime divisors of an integer chosen at random. Diaconis thought about the problem and then discussed it with Hironari Onishi who had taught him mathematics at the City College. He continued to work on it, discussing ideas with Mosteller, during his first year as a graduate student at Harvard and the results were eventually published in the Journal of Number Theory as the three-author paper Second-order terms for the variances and covariances of the number of prime factors-including the square free case (1977). This was not the first of Diaconis's papers to be published for Buffon's problem with a long needle had been published in the Journal of Applied Probability in the previous year. During his first year at Harvard, academic year 1971-72, Diaconis had studied for a Master's Degree and then continued to study at Harvard for a Ph.D. He was awarded the degree in 1974 for his thesis Weak and Strong Averages in Probability and the Theory of Numbers. After the award of his doctorate, Diaconis was appointed as an Assistant Professor of Statistics at Stanford University. He was promoted to Associate Professor of Statistics at Stanford in 1979 and, two years later, he became a full professor. While at Stanford he kept his contacts with Harvard, being a Visiting Professor in the Harvard Department of Statistics in 1981-82 and in the Harvard Department of Mathematics in 1985-86. In 1987 he left Stanford when he was appointed as George Vasmer Leverett Professor of Mathematics at Harvard. After spending 1996-98 as David Duncan Professor at Cornell University, Diaconis returned to Stanford where he was appointed Mary V Sunseri Professor in the Department of Statistics and the Department of Mathematics. In addition, Diaconis has acted as a consultant to Scientific American (1972-80), the Jet Propulsion Laboratories (1974), the Bell Telephone Laboratories, Murray Hill, New Jersey (1974-), the Stanford Linear Accelerator (1977-), and Teledyne, Cryptography Division (1993-99). It would be difficult to give a summary of the papers that Diaconis has written (his publication list contains around 200 items). However, we give a selection of sixteen of these together with extracts of a summary by the authors or reviewer at THIS LINK. The purpose of this nice little book is to show how the mathematical theory of group representations can be used to solve very concrete problems in probability and statistics. It is mainly concerned with noncommutative finite groups. ... This book is remarkable. On the one hand it is a research book (most of the material appears in book form here for the first time), using tools from one of the main active fields in "pure mathematics''. On the other hand, it is very clear and self-contained. Both the pure mathematician and the applied statistician will find pleasure and excitement in reading it. The text is full of attractive examples. It contains many open questions and I am sure that it will be the starting point for new research on the subject. ... surveys recent progress in the classical subject of Markov chains. Sharp rates of convergence are available for many chains. Examples include shuffling cards, a variety of simulation procedures used in physics and statistical work, and random walk on the chambers of a building. The techniques used are a combination of tools from geometry, PDE, group theory and probability. These notes tell two stories. The first is an overview of a general approach to studying random walk on finite groups. This involves the character theory of the group and the geometry of the group in various generating sets. The second is the life and times of a single example: random transpositions on the symmetric group. This was the first example where sharp estimates were obtained. Among the highlights of his research is pioneering work on the speed of convergence of Markov chains to equilibrium, a rapidly growing field with numerous applications to statistics, physics and computer science. His dramatic and famous "cut-off phenomenon" has been nothing short of amazing. 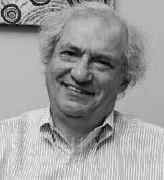 Together with David Freedman of Berkeley, Diaconis has made fundamental and dramatic contributions to Bayesian statistics. But the impact of his contributions extend beyond probability and statistics. As both a magician and a statistician, Diaconis has debunked with unusual authority much research on extra sensory perception and the paranormal, and has exposed several psychics, including Uri Geller. In April 2004 he was a plenary speaker at the British Mathematical Colloquium at Warwick University giving the talk The Search for Randomness. Diaconis's contributions have been recognised with prestigious awards. He received the Rollo Davidson Prize from the University of Cambridge (1981), and the Van Wijngaarden Award (2006). He has been awarded an honorary degree from the University of Chicago (2003), Université Paul Sabatier, Toulouse (2003), Uppsala University (2005), Queen Mary College, University of London (2006), and the University of Economics and Business of Athens (2009). He was elected as a Fellow of the Institute of Mathematical Statistics in 1981, was their Wald Lecturer in 1987, and President of the Institute in 1997-98. He was elected a fellow of the American Academy of Arts and Sciences (1989), a fellow of the American Statistical Association (1994), a member of the National Academy of Sciences (1995), and a member of the American Philosophical Society (2005). This wonderful article is a lively and engaging overview of modern methods in probability and statistics and their applications. It opens with a fascinating real-life example: a prison psychologist turns up at Stanford University with en- coded messages written by prisoners, and Marc Coram uses the Metropolis algorithm to decrypt them. From there, the article gets even more compelling! After a highly accessible description of Markov chains from first principles, Diaconis colourfully illustrates many of the applications and venues of these ideas. Along the way, he points to some very interesting mathematics and some fascinating open questions, especially about the running time in concrete situations of the Metropolis algorithm, which is a specific Monte Carlo method for constructing Markov chains. The article also highlights the use of spectral methods to deduce estimates for the length of the chain needed to achieve mixing. As a regular reader of expository articles, I am thrilled that mine seemed useful. The Bulletin does a great service with these. While I have the chance, I want to point to two other recent Bulletin articles that I am proud of: "Patterns in eigenvalues" (my Gibbs Lecture, 2002) and "On adding a list of numbers (and other one-dependent determinantal processes)" (with A Borodin and J Fulman, 2009). I promise to keep at it. Thank you. Diaconis received a further honour in 2013 when, on Friday 13 September, in the Younger Hall, St Andrews, he was given an honorary degree during a special graduation ceremony which formed part of the University of St Andrews' 600th Anniversary celebrations. He was one of seventeen "international scholars and thinkers", "some of the best minds of our generation", who were honoured in this way. 'Magical Mathematics' reveals the secrets of amazing, fun-to-perform card tricks - and the profound mathematical ideas behind them - that will astound even the most accomplished magician. Persi Diaconis and Ron Graham provide easy, step-by-step instructions for each trick, explaining how to set up the effect and offering tips on what to say and do while performing it. Each card trick introduces a new mathematical idea, and varying the tricks in turn takes readers to the very threshold of today's mathematical knowledge. For example, the Gilbreath principle - a fantastic effect where the cards remain in control despite being shuffled - is found to share an intimate connection with the Mandelbrot set. Other card tricks link to the mathematical secrets of combinatorics, graph theory, number theory, topology, the Riemann hypothesis, and even Fermat's last theorem. This is a wonderful book, unique and engaging. Diaconis and Graham manage to convey the awe and marvels of mathematics, and of magic tricks, especially those that depend fundamentally on mathematical ideas. They range over many delicious topics, giving us an enchanting personal view of the history and practice of magic, of mathematics, and of the fascinating connection between the two cultures. 'Magical Mathematics' will have an utterly devoted readership.